Surely one would think this gay pride group thought in advance to stock and supply the necessary items to alleviate such discomfort but, alas, no coloring books, hot chocolate or puppies were reported to be on hand. The American Jewish Committee condemned the atrocity and called for others to stand up and speak out about the attack on the Jewish community. America is still waiting. Where is the outrage? A broad swath of the American population, especially amongst the expansive liberal community on college campuses, is anti-Semitic and pro-Palestine. As such, outrage may not be forthcoming anytime soon. Kent State Students for Justice in Palestine (SJP) applauded the eviction of Jews from the Dyke March, asserting the three marchers were “associated with racist right wing groups” and, go on to say, had that not been the case they wouldn’t support their removal from the event. This sentiment was echoed by other Kent State students who spoke to Campus Reform. In May 2016, students with the same SJP chapter shouted down and protested a film-screening hosted by a Jewish student group on campus. That resulted in a “written warning, effective immediately” sanctioned against SJP, which expired in March. It doesn’t stop there though, by far. There are volumes of incidents surrounding SJP and its anti-Semitic harassment on campuses. The depravity of SJP, however, is boundless. Take, for example, the Northwestern University SJP chapter’s May 15 event honoring Palestinian activist Rasmea Odeh who bombed a supermarket, blowing up two students. Odeh recently pleaded guilty to immigration fraud, for failing to disclose on her immigration applications her 1970 conviction and imprisonment in Israel for a 1969 supermarket bombing that killed two Hebrew University students, Edward Joffe and Leon Kanner. Yes, SJP honored a terrorist who bombed a supermarket, killing two students. Judging by the marketing piece, SJP support and stand by what she did. 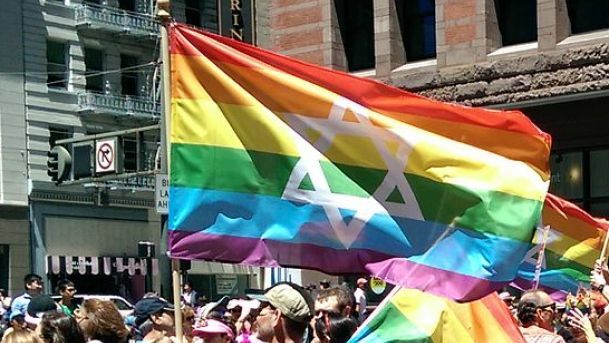 When a student group such as SJP supports harassment of Jews on campus and honors a known terrorist and then supports the eviction of a harmless group of three marchers at a gay pride event, it stands to reason the Dyke March organizers who evicted the group may not be in good company. The Kent State SJP did not respond to Campus Reform’s or Bogus Times’ requests for comment.